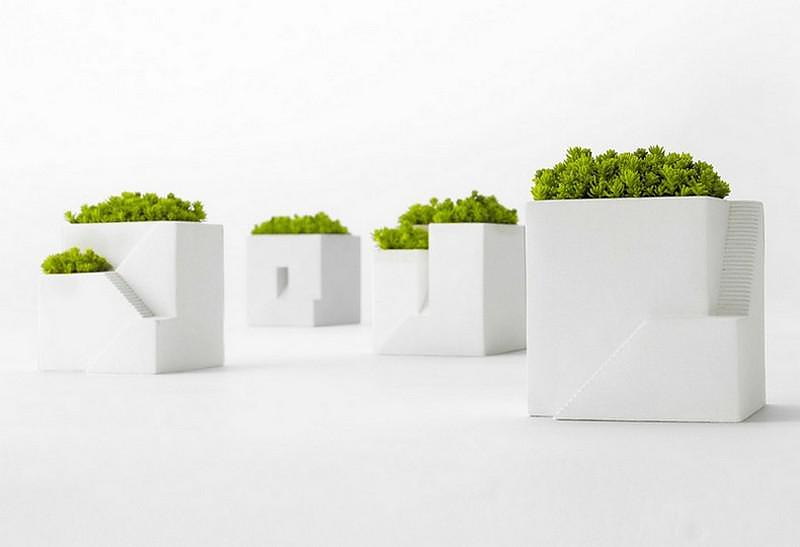 HomeBlogHome DecorIenami Bonkei Planters by Metaphys. 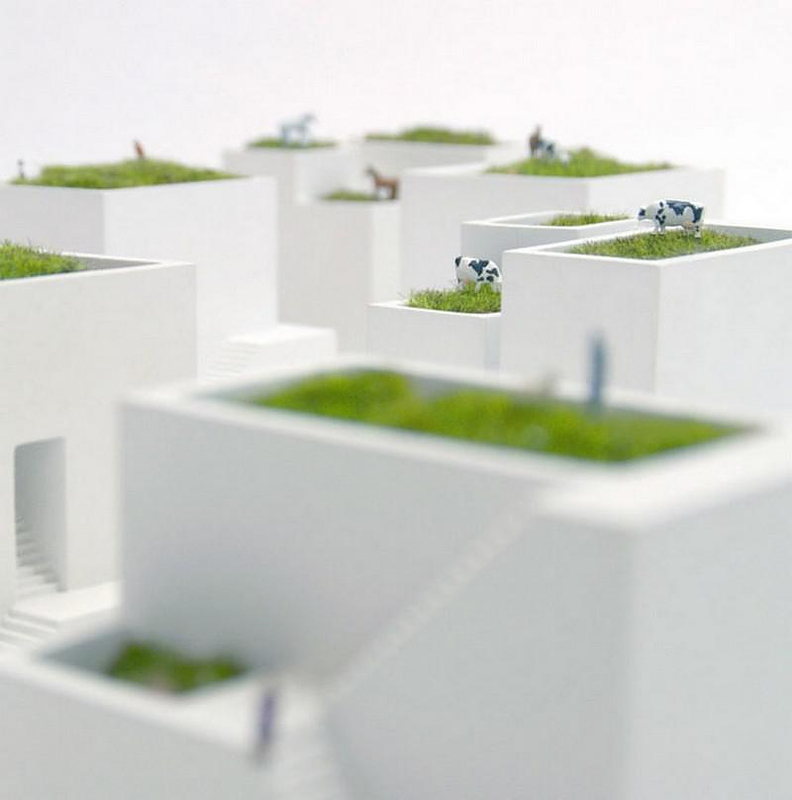 Inspired by the traditional Japanese art of “Bonkei” the Ienami Bonkei planters by Metaphys introduce us to a delightful miniature world. “Bonkei” is a three-dimensional depiction of a landscape in miniature developed using mainly dry materials such as rock, cement mixtures or sand. 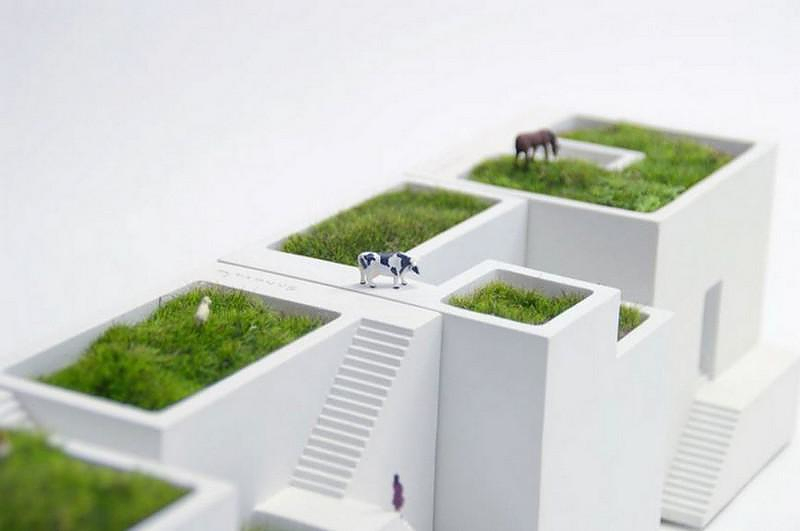 It may also contain decorating elements that make it more realistic, such miniature figures of people, animals, balconies, bridges, or other outdoor elements. 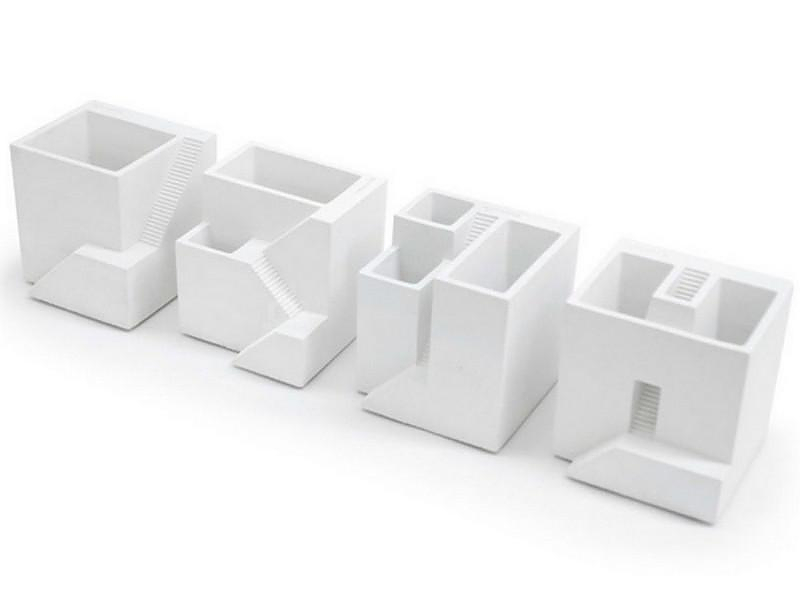 The collection includes four different “buildings” each resembling a different house, but always with a roof garden. 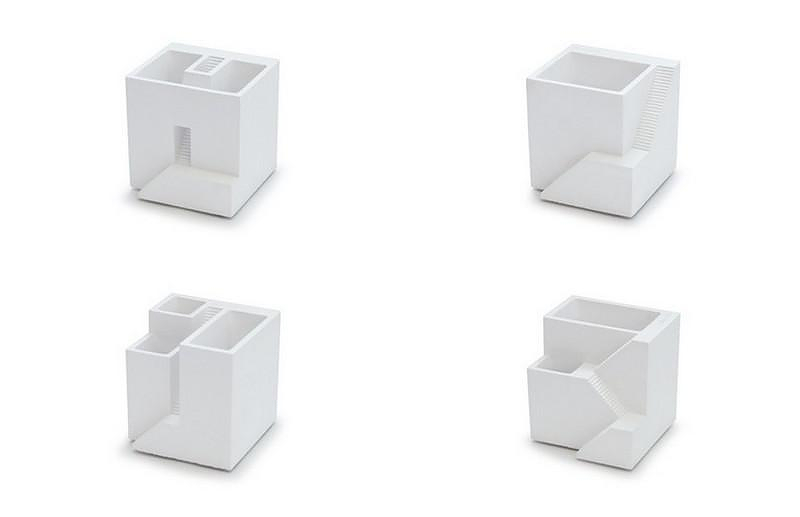 The variants are: Hiroba (which means square or plaza), Roji (which means alley), Zigzag and Tunnel. 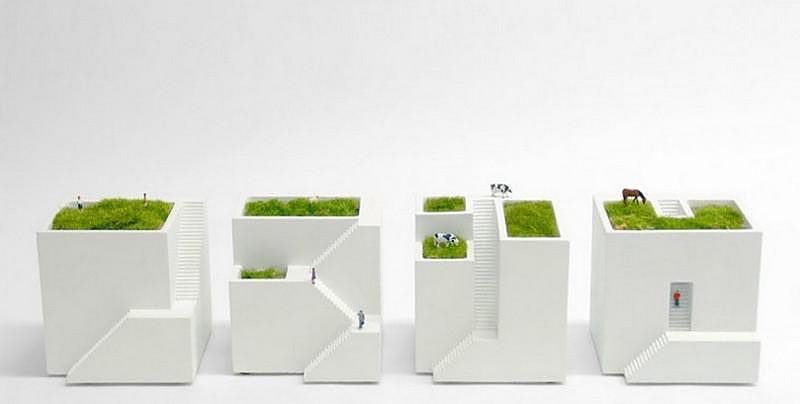 By combining different planter together, one can create a beautiful small village inside his own home. Furthermore by planting different types of grass or plants on each rooftop you can create visual diversity. 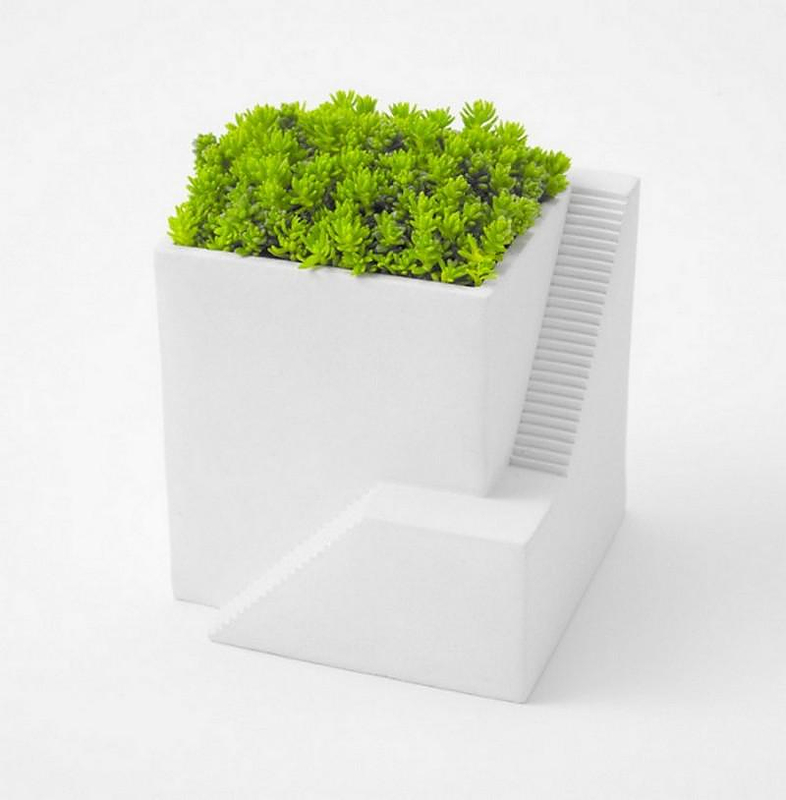 The Ienami Bonkei planters make for a charming decorating element, with a sublime element of Japanese aesthetics.